Looking for the perfect Golf Coast itinerary? We are here to help! 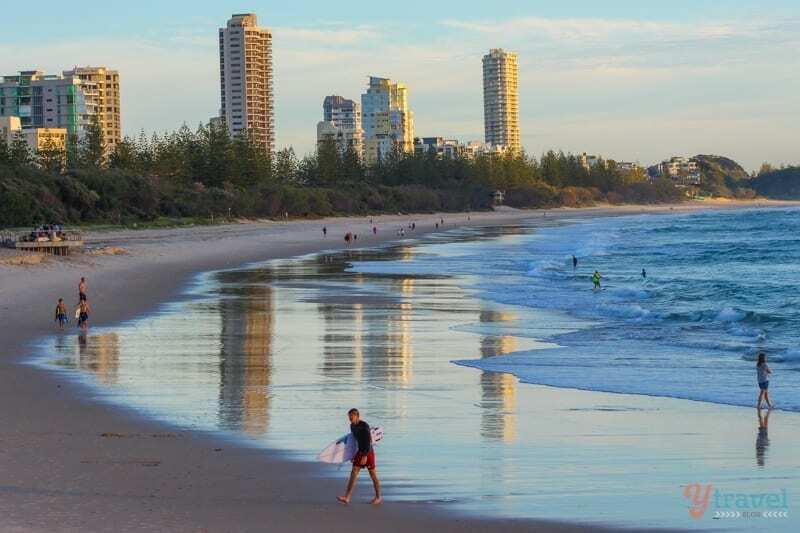 The Gold Coast has long been Australia’s premier holiday destination with enough activities and attractions to fill your Gold Coast itinerary for weeks! There are the beaches, Gold Coast theme parks, the waterways, the hinterland, cafes, nightlife, shopping strips and so much more. But what if you only have 48 hours on the Gold Coast to play with? You’re like most busy families and all you can manage is a short getaway. Well, I’ve got you covered. 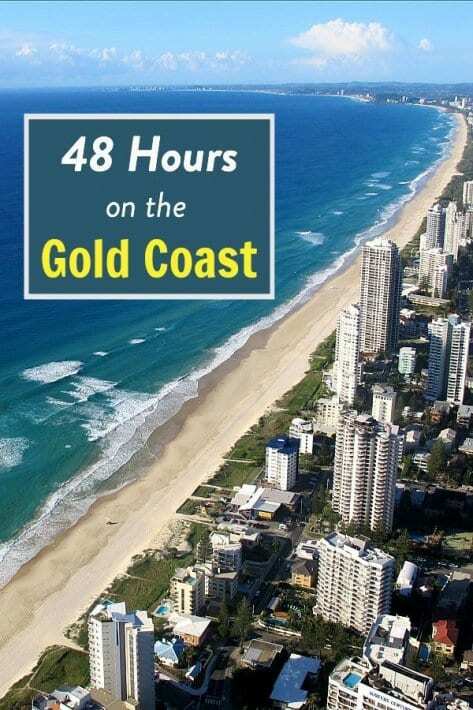 With so much to see and do I’ve put together this Gold Coast itinerary so you can make the most of your two-day visit to the Gold Coast. Let’s pretend you’re on a weekend getaway to the Gold Coast with all day Saturday and Sunday to play. For those flying into Coolangatta airport, hire a rental car to get around, public transport is not going to cut it, and you’ll want to make the most of your limited time. Once you’ve grabbed your car, head to your accommodation on the Gold Coast and get settled. Popular places to base yourself include Coolangatta, Burleigh Heads, Broadbeach, and Surfers Paradise. If you arrive early enough on a Friday afternoon, you could hit up the Surfers Paradise Beachfront Markets along the beach Esplanade which has over 100 stalls – especially nice on a clear evening. Otherwise, relax at your accommodation and get a good nights sleep, you’ve got a busy weekend ahead. Need more Gold Coast tips? If you’re staying in an apartment or a property with kitchen facilities, you have the option to self-cater and save a few dollars on eating out. But because it’s a short stay why not enjoy one of the many alfresco cafes on offer? Some of the best cafe scenes can be found at Broadbeach, Miami, Burleigh Heads, Coolangatta, and Kirra. 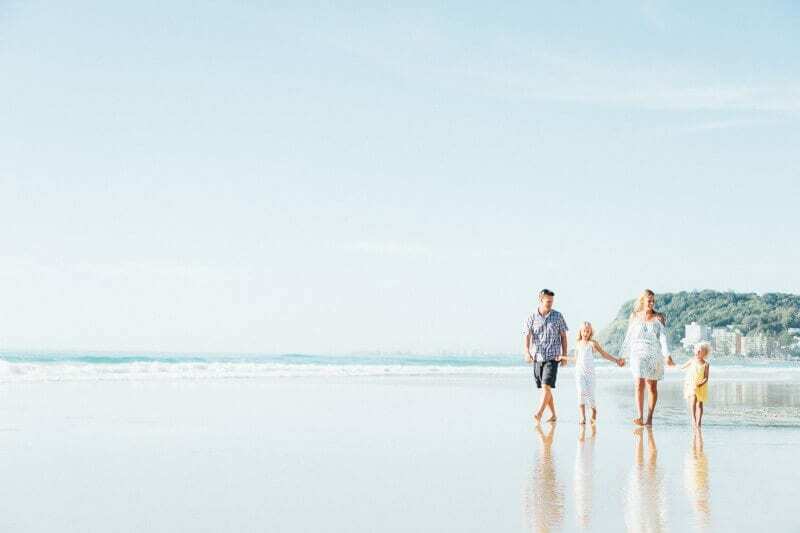 Take a 30-minute stroll or bike ride along a section of the Gold Coast Oceanway, a network of pathways along the beaches ranging up to 4km long. Or follow one of the walking trails through Burleigh Heads National Park. A good way to walk off brekky. 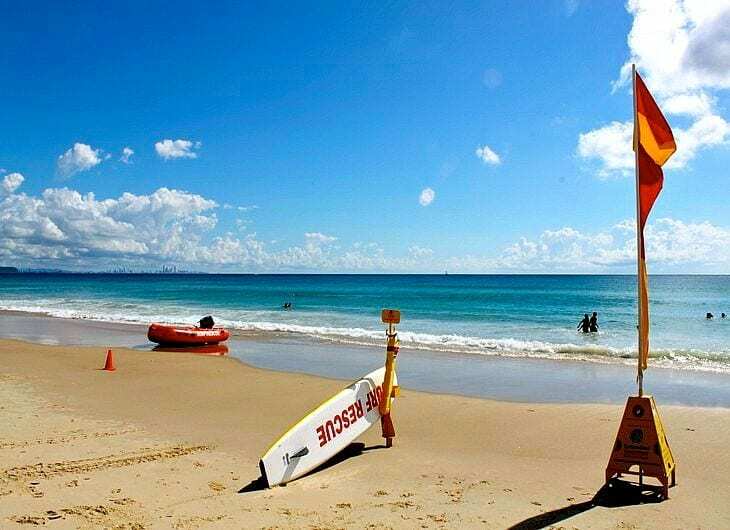 Spend the rest of the morning on one of the Gold Coast’s famous beaches. You came for sunshine and sand, didn’t you? Go for a swim or surf, play on the sand, relax on the beachfront grass beneath rows of pine trees, and have a guilt free ice-cream – you’re on holidays! 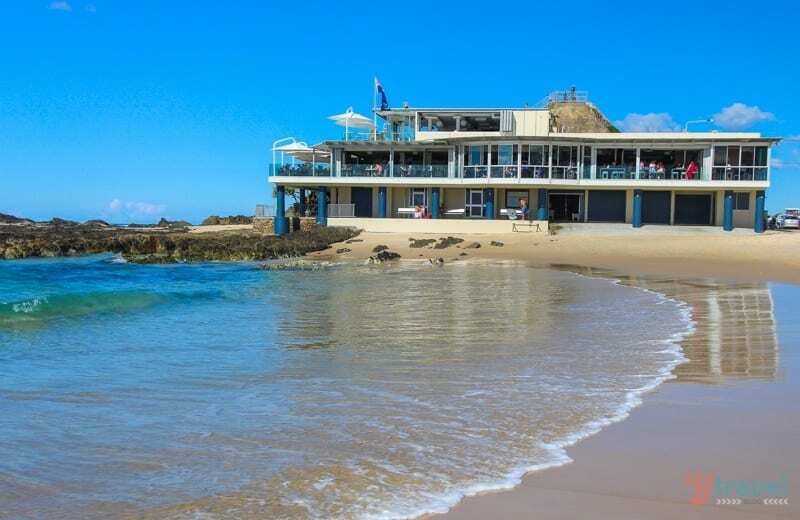 Rainbow Bay – Gentle rolling surf, safe swimming conditions, and year round surf patrols make for a relaxing family beach day. 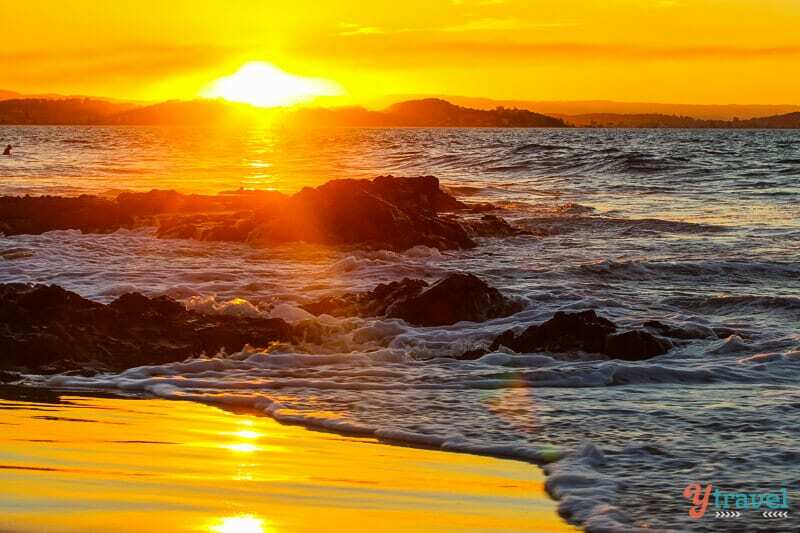 Coolangatta / Greenmount Beach – a north facing beach protected by the headland. Generally safe with usually low waves and two surf lifesaving clubs and lifeguard towers, and a playground. Currumbin Creek – popular with families where you can enjoy a range of watersports including surfing, kayaking, and stand-up paddle boarding. 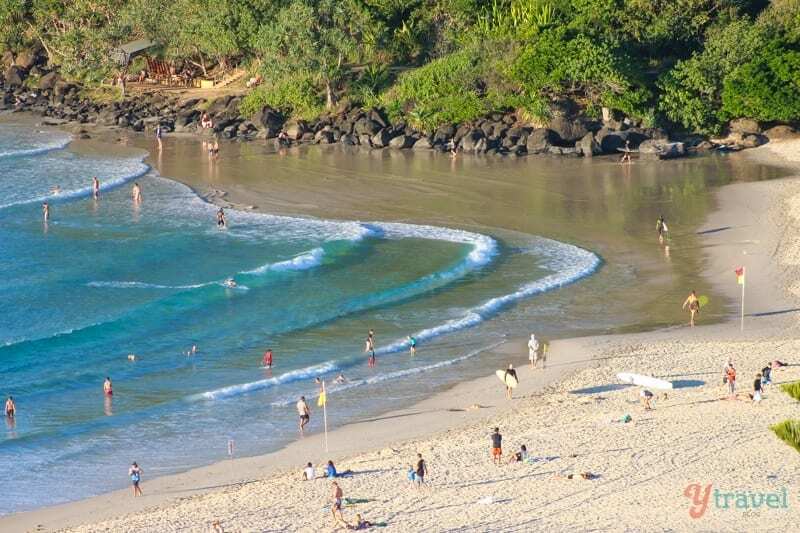 Burleigh Heads – voted #1 by travelers on Trip Advisor and is one of the best swimming, body boarding and surfing spots on the coast. 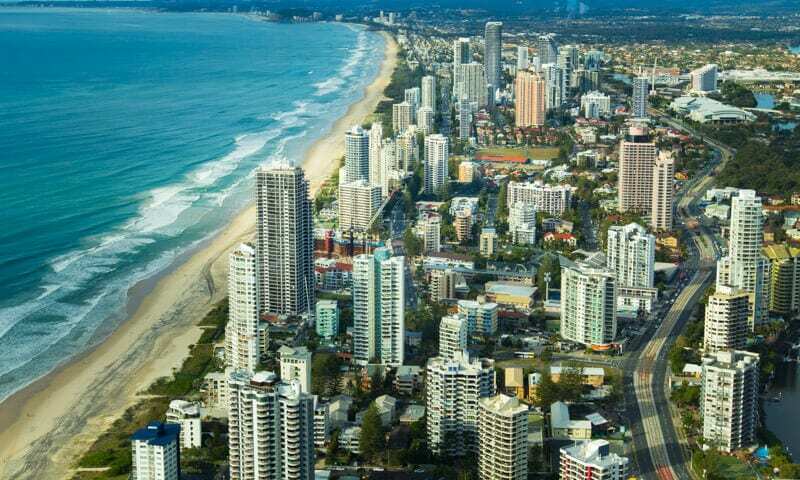 Broadbeach – towards the northern end of the coast. Long, clean stretch of beach and bordered by large grasslands and a big playground. For a casual and affordable family lunch with amazing views, we like to dine at one of the many surf lifesaving clubs dotted along the coast. If you have young children like us, the kid’s activity packs come in very handy for keeping them settled. Our favourite surf clubs include; Main Beach, Kurrawa (Broadbeach), North Burleigh, Currumbin, Coolangatta, Greenmount and Rainbow Bay. If you want a seat by the window, you might want to reserve a table as they do get busy. 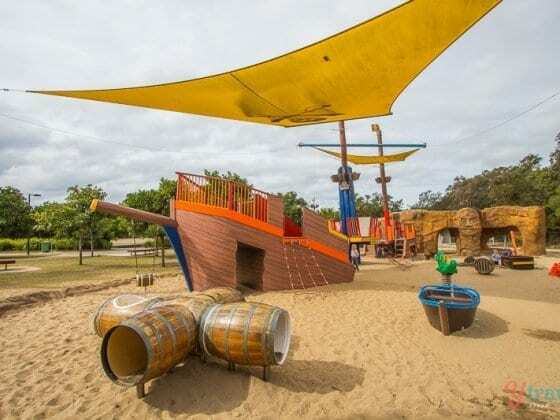 Depending on the age and interests of your kids, I’m giving you three different options for your afternoon on the Gold Coast. Get up close with some Aussie wildlife. 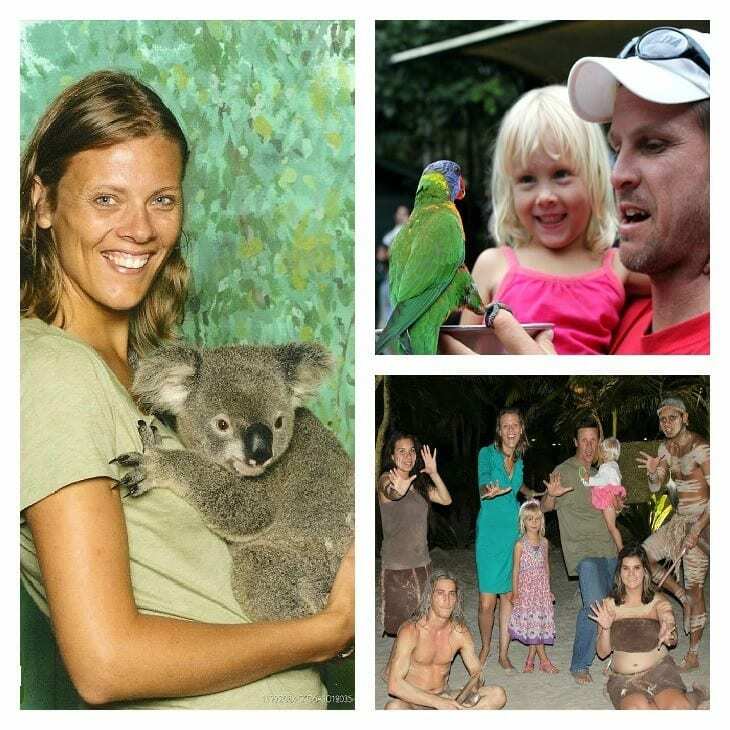 Cuddle a koala, feed kangaroos, watch a croc feeding or take on the extreme high ropes challenge. This sanctuary is also well known for feeding hundreds of wild lorikeets who descend upon you from the surrounding trees to get a lick at the sweet honey nectar that you hold out in a bowl in your hands. If you don’t want to pay the admission price to see all the animals, FREE lorikeet feeding takes place every day at 4 pm, and also 8 am. Just a 40-minute drive brings you to Mt Tamborine where you can experience tropical Queensland at its best. There’s the one and a half kilometer Rainforest Skywalk, Australia’s first and largest high ropes Tree Top Challenge, the glow worm caves, Thunderbird Park, and for us big kids the Winery or Distillery. There is no shortage of water activities on the Gold Coast for those who want relaxation or the adrenalin fix. Ride jet skis, get your thrills on a jet boat ride, spot migrating humpbacks on a whale watching cruise (in season), explore the waterways on a fun aquaduck safari, take a leisurely cruise on the canals and Broadwater, or learn to stand up paddle board or surf. For a real local’s experience that involves food and entertainment head to Miami Marketta – we recently discovered this local’s favourite. 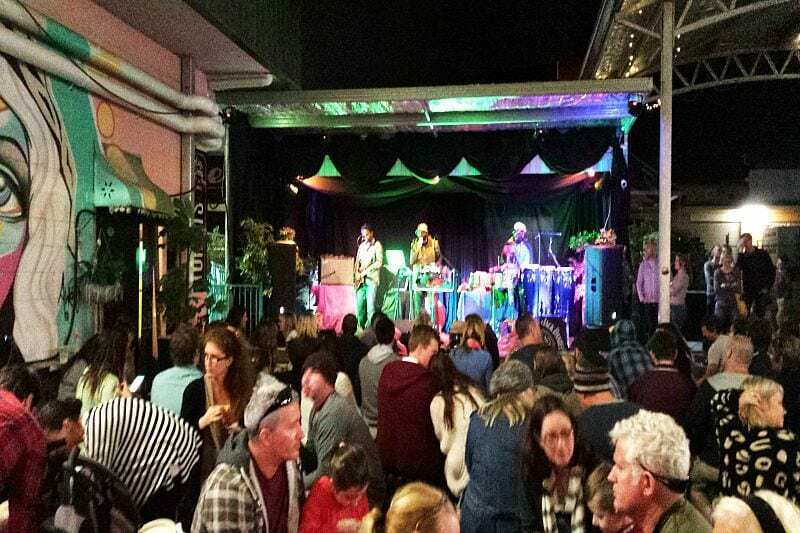 Every Saturday (and Friday nights) Marketta comes alive with street food, live music, boutique wine and craft beer. It feels like you’re in the back streets of Bangkok or New York City. For other family-friendly nightlife activities, go here. If you’re looking for pure adult party options, browse this list on Trip Advisor. If you’re planning on visiting Dreamworld, Whitewater world or the SkyPoint Observation deck, yTravel readers can get a 10% discount by purchasing your tickets via this link. 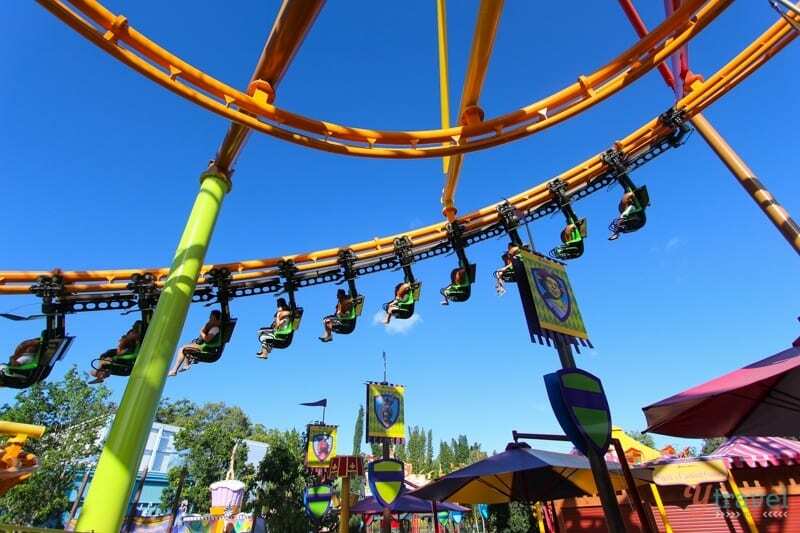 The Gold Coast is the theme park capital of Australia, with attractions designed to suit all ages. You can ride roller-coasters, meet your fave favourite movie characters, or get wet at one of the water parks. Grab your breakfast (self-cater or eat out) then stock up on water and healthy snacks before hitting up one of the parks. But with just one day, how do you know which of the theme parks will suit your family’s interests and keep everyone happy? Here’s a rundown of what you’ll find at each park to help you plan your day. 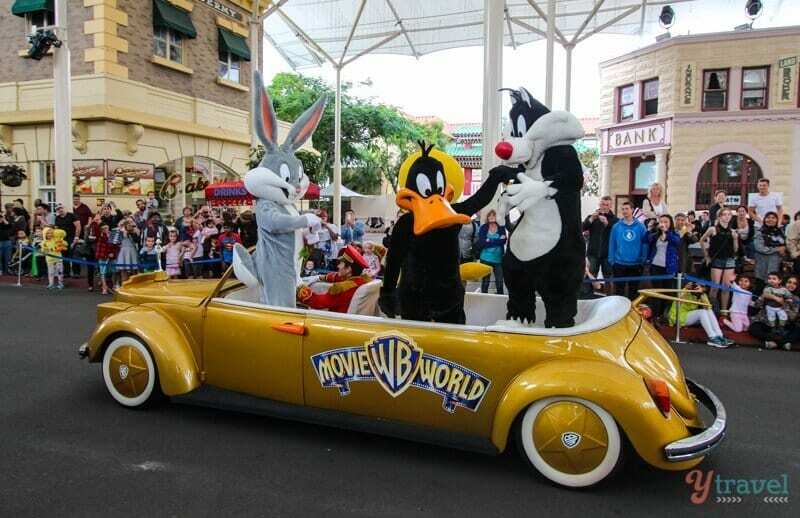 Movie World is for the movie lovers in the house. For the kiddies that adore the Looney Tunes characters like Goofy and Tweety bird (Caz’s personal favourite), or for the bigger kids who want to get their thrills on huge, movie-themed rides like Green Lantern and Superman Escape. The day is filled with street parades and performances from your favourite super heroes and movie characters. The WB Fun Zone is the place for smaller children with rides and shows and characters roaming around. The action-packed Hollywood Stunt Driver show will entertain all family members (although be careful with the little ones, as the loud noises may spook them). 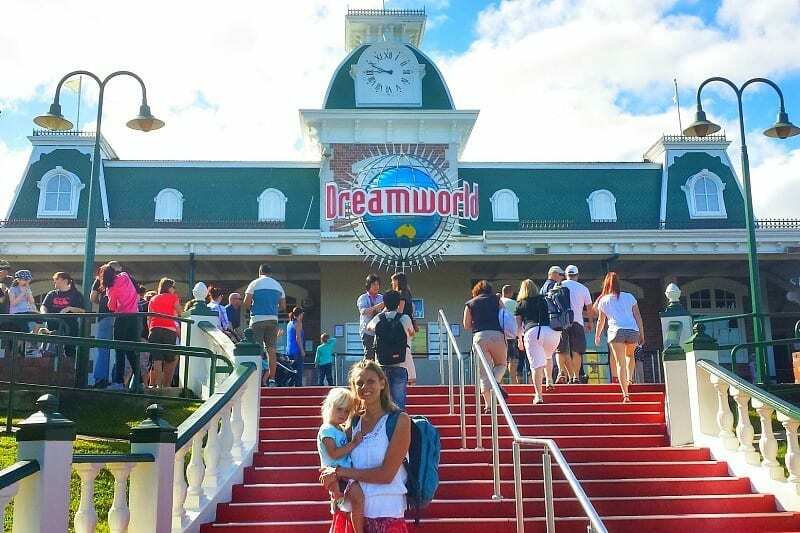 Dreamworld is the biggest theme park with attractions for all ages. The young ones will enjoy Wiggles World and Madagascar Madness, with age appropriate rides and the chance to meet all their favourite characters. Your teens will love the Big 8 Thrill Rides such as the Giant Drop, Buzz Saw and the Tower of Terror (my personal favourite). Dreamworld also has many animal encounters to enjoy. Meet koalas, wombats and kangaroos in the huge native wildlife park, and there’s the popular Tiger Island, where you can see Bengal and Sumatran Tigers play. WhiteWater World (attached to Dreamworld) is the newest addition and the place to get wet. Plummet five stories down in a thrilling drop slide, zoom down in a racing water slide or let the toddlers enjoy the Wiggles splash & play area. Sea World is for the marine animal lovers. Here you can swim with dolphins and get up close to seals, polar bears, sting rays, penguins and have close encounters with sharks. 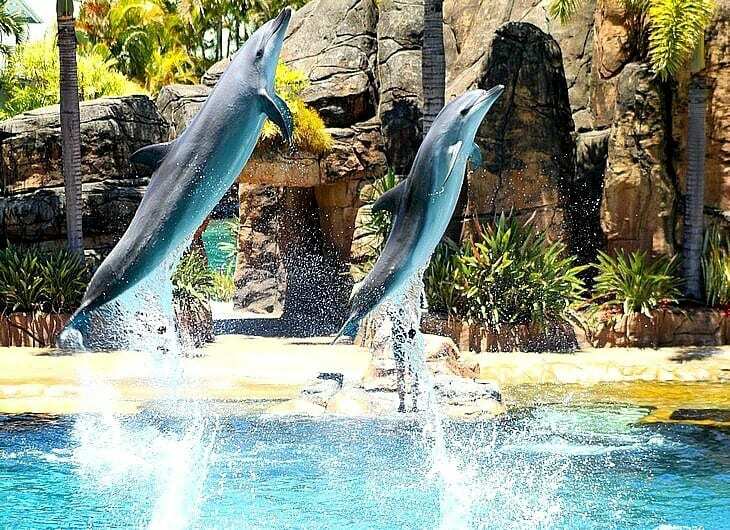 This park offers an educational side and the Dolphin Show is spectacular – you’ll walk away even more in love with these intelligent, gentle creatures. And the seal show will bring you several laughs. The Jet Stunt Extreme show will amaze you with their amazing aerial flips, and gravity defying stunts. I enjoyed this far more than I anticipated. There are a few rides to enjoy such as Jet Rescue, Sea Viper and Storm Coaster. For the little kids, there are Dora and SpongeBob shows that will keep them entertained. As the name suggests, Wet’n’Wild is all about getting wet and going wild on the slides. There are extreme thrill water slides and vertical drops, such as Kamikaze and The Black Hole for the older and more daring teenagers and parents. Family members can race each other down the Super 8 slide or enjoy more gentle water slides such as the River Rapids. And there are places to relax in quieter family zones, as well as wave pools, whirlpool springs and simulated, perfect waves to surf. Wet’n’Wild is the park to visit on those piping hot Gold Coast summer days. There are buffet dinners and then there is the Bazaar Restaurant at the QT Hotel in Surfers Paradise. To be honest, I try to avoid buffets these days as I can’t help myself from over-eating, and Bazaar is not cheap as far as buffets go, but this is not just any buffet. Bazaar has a market place concept with literally something for everyone with fresh produce in endless quantities. My fave is the seafood station, and I also love how the Asian chef steams up dumplings to order. There’s a BBQ guy, wood-fired pizza, pasta, and a great salad bar. 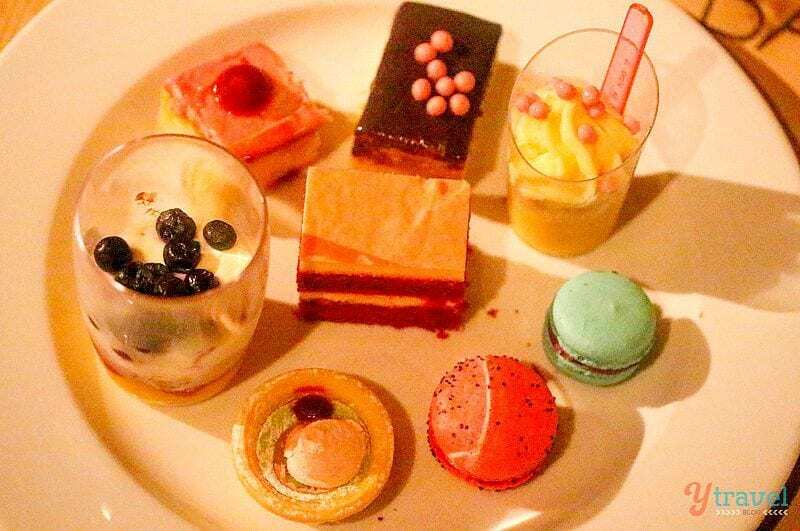 Your kids, and you, will love the AMAZING dessert bar with all these miniature cakes and slices. And you thought you we’re getting out of they’re relatively healthy! For other places to eat on the Gold Coast, browse Trip Advisor and look on the Destination Gold Coast website. With 48 hours you’re only scratching the surface of what the Gold Coast has to offer, but you can always come back and tick off the rest of your activities list. Booking.com has over 400 properties on the Gold Coast including hotels, apartments, and hostels. You get free cancelation on most rooms and a best price guarantee. Glad you find our posts useful, and welcome to Oz. I totally hear where you’re coming from regarding the animal thing. It’s a tough one. I guess some parks that have rehabilitation type programs in place and support animals that may not survive in the wild is a positive thing. It looks like complete solid 48 hours short break pack, Great. I have heard a lot about Jet boat ride, it is super famous. Didn’t know it was famous, but it was fun when we did it. Sure thing Izy. 48 hours isn’t long in any destination but hopefully this helps as a base itinerary to go off. Great guide guys. We love when there is a nice walking path near the beach. We never got to all the beaches you suggested. Next time we will have to check them out. I think we will definitely check out Miami Marketta next time too. Live music is the best. Thanks for sharing. Miami Marketta is great, such a cool local thing. And yep, so many great beaches on the Gold Coast!